The purchase and consumption of 31 medical text books on lower limb orthopaedics, neurology, neuro and spinal surgery and radiology. Uncountable subscriptions to medical journals. 18 MRIs, 4 CAT scans, 3 XRAY scans, 3 bone scans. 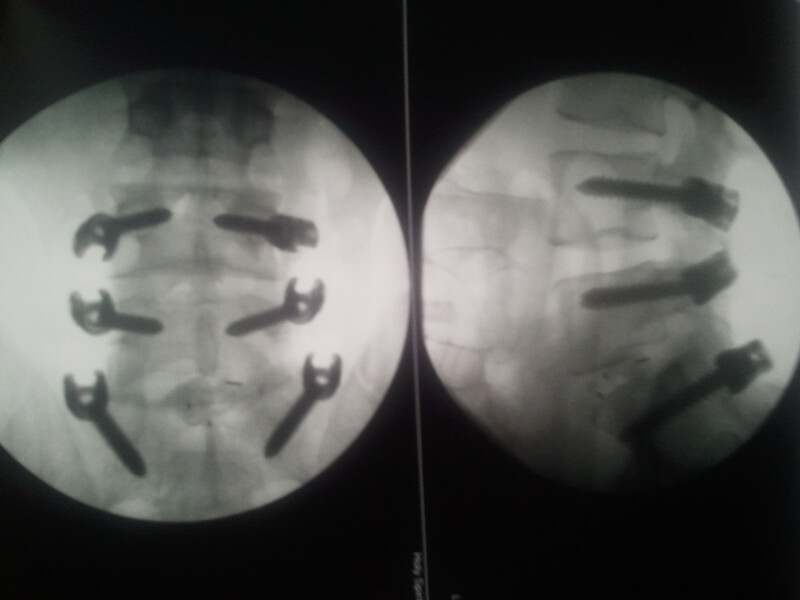 12 surgical procedures; 8 to the lower limb, 3 to the lumbar spine. 1 (successfully) minor procedure performed by myself for a medical emergency for which acknowledgement was initially refused and later accepted after surgical extraction of foreign body. Having been misdiagnosed by a not-so-clever person named Dr Leigh Atkinson, including the suggestion that my chronic pain is “caused by the holy ghost.” Yes, seriously, he said this – while also in the room with a qualified medical professional (whom he called delusional in the same rant). He also claimed that I did not have Entrapment Neuropathy of SPN when I told him I strongly suspected it. I did – surgically verified by lower limb orthopaedic specialist (November 2009). Having been repeatedly told for nearly two years by Dr Michael McEniery, who would threaten to sue me again if I was to call him incompetent or dangerous (even though this might be my genuinely held opinion based on substantiated fact and so he would lose) that I am obsessing about a minor condition, requiring no medical intervention, and that this obsession is because of the athletic demands of myself and my coach. Having executed a partially-successful mission to demand immediate medical attention in March 2009 at significant expense. Entrapment Neuropathy of the Superficial Peroneal Nerve, 10cm proximal to lateral malleolus (unilateral). Foraminal Stenosis of the Fifth Lumbar (L5) Nerve Root (unilateral). Spinal instability (Spondylolisthesis) at Fifth Lumbar (L5). Withdrawal from morphine and oxycodone after immediate cessation. These conditions were caused by a single acute sporting injury in July 2007. I have been treated for all. PS: This is why I sometimes demonstrate low tolerance for stupidity and/or failure or refusal to entertain the possibility of thinking. People get hurt. No, I am not sorry.